More importantly, in his campaign to take on the tycoons, he could count on the backing of ordinary Russians, fed up with greedy oligarchs, mafia gangs, shady banks that could not be trusted with savings, and other ills of “robber capitalism.” His preelection pledge to “eliminate oligarchs as a class” resonated with the prevailing attitudes among the mass of Russian voters, tired of the situation, when crooked businessmen and corrupt politicians were left alone by the police and prosecutors, while a small group of super-rich ran the country. They voted for Putin in the hope that a strong leader would be able to impose law and order and rein in corruption and criminality. At the start of his presidency Putin managed to ease the oligarchs’ grip by a combination of different methods, including tighter regulation by the state of economic activity; tougher curbs on the power of the monopolies run by the oligarchs; efforts to set up a normal executive branch comprised not of politically ambitious individuals from different financial-industrial groupings and clans, but of technocrats; and, finally, criminal prosecution or the threat of launching criminal investigations to persuade the unwilling tycoons to return part of their ill-gotten assets. Three cases, in particular, involving some of the more high-profile oligarchs, produced a compelling demonstration effect, enough to cow the rest of the business tycoons into submission. Two of these involved the powerful media barons Boris Berezovsky and Vladimir Gusinsky and the third, Vladimir Khodorkovsky, the owner of Russia’s giant oil company Yukos. 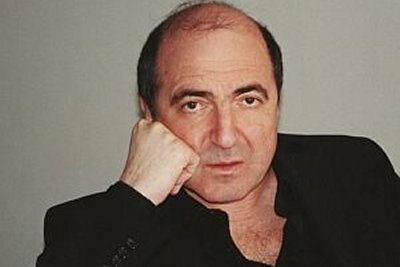 Boris Berezovsky, a friend of Yeltsin’s daughter and the mastermind of the Kremlin’s election victories since 1996, rewarded for his services with vast holdings in oil, aluminum, and media, became, arguably, one of the biggest casualties of the “antioligarch war.” In a 1997 interview Berezovsky boasted that he and six other oligarchs owned economic empires controlling 50 percent of Russia’s gross domestic product. He also bragged about his role in persuading ailing former president Boris Yeltsin to resign, and in promoting Putin into office. In the summer of 2000, this previously untouchable insider, who had attained fabulous wealth and influence during the past decade by getting close to the Kremlin, suddenly resigned his parliamentary seat and fled abroad. There is little doubt that he must have acted so promptly out of self-preservation after having got wind of impending charges of embezzlement and money laundering. He now lives as an exile in London.